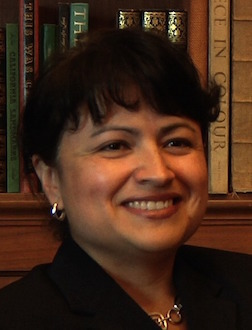 Magdalena Arenas '92 arrived for her first year at college with nothing but a desk lamp. One of 11 children of Mexican immigrant parents, she attended college against her father’s wishes. She worked her way through school by tutoring and cleaning houses. In her senior year, the biology major was honored with the distinguished Thomas J. Watson Fellowship and spent a year in Mexico learning midwifery through the World Health Organization. Upon her return, she entered USC Medical School. Today, Arenas is a pulmonologist at Huntington Memorial Hospital in Pasadena.